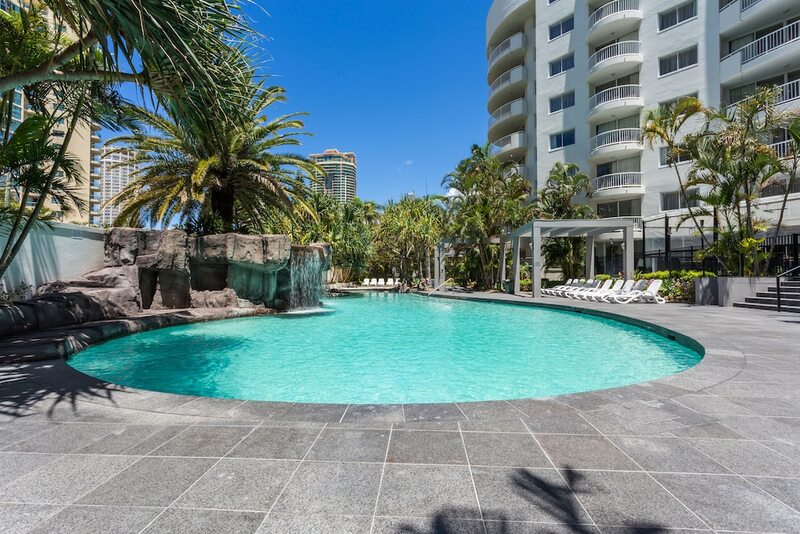 With a stay at Alpha Sovereign Hotel in Surfers Paradise, you'll be within a 15-minute walk of Chevron Renaissance and Cavill Avenue. This 4-star hotel is 0.3 mi (0.5 km) from Slingshot and 0.5 mi (0.8 km) from Infinity Attraction. Flavours - This restaurant serves breakfast and dinner. Guests can order drinks at the bar and enjoy alfresco dining (weather permitting). A children's menu is available. Reservations are required. Open select days. Children under 12 years old are not allowed in the swimming pool or spa tub without adult supervision. Guests under 15 years old are not allowed in the fitness facility. Pool access available from 7:30 AM to 10:00 PM.Reservations are required for massage services and spa treatments. Reservations can be made by contacting the hotel prior to arrival, using the contact information on the booking confirmation. A resort fee is included in the total price displayed. Parking height restrictions apply.